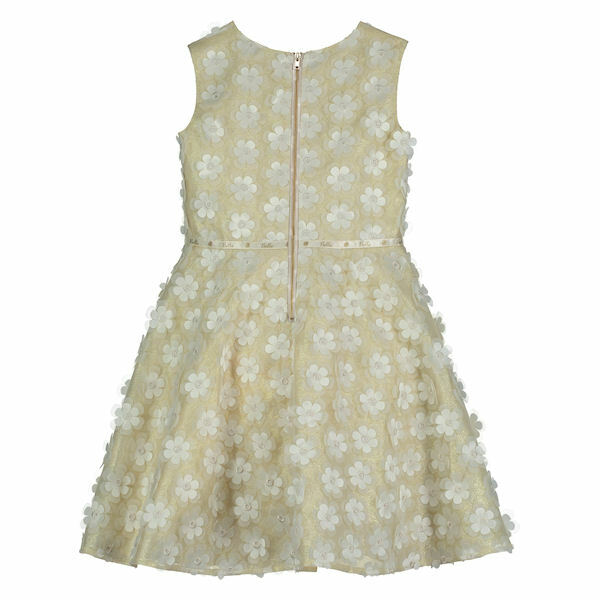 A sophisticated cream floral 3D textured fabric on a gold shimmer mesh. At the waistline there is a delicate cream Belle signature ribbon. Attached to the waist is a Belle and Disney character charm. The charms are B for Belle and a Disney signature. 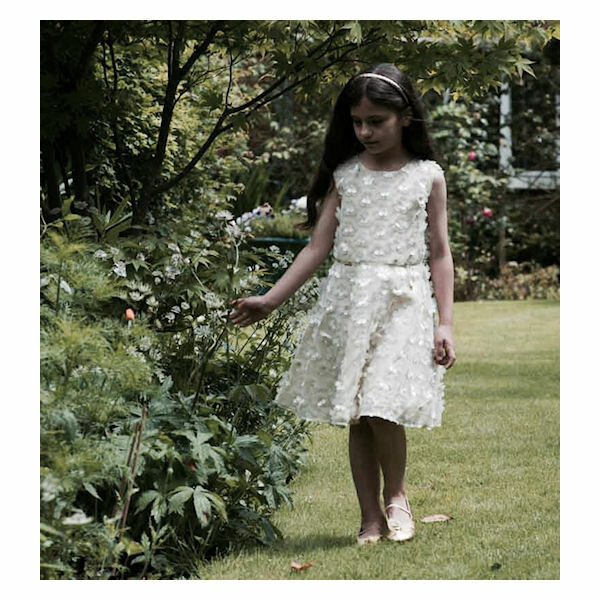 Dress materials are outer layer is 100% polyester. 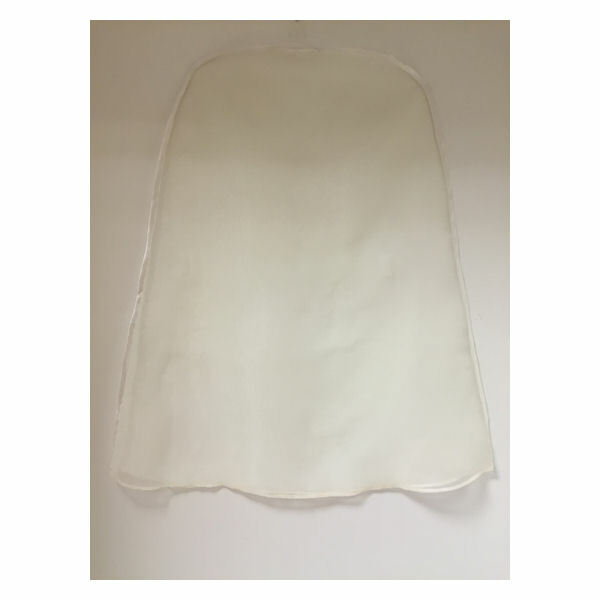 The inner Layer is mixture of 35% nylon, 35% Polyester and 30% Metallised Fibre. The dress lining is 100% polyester. 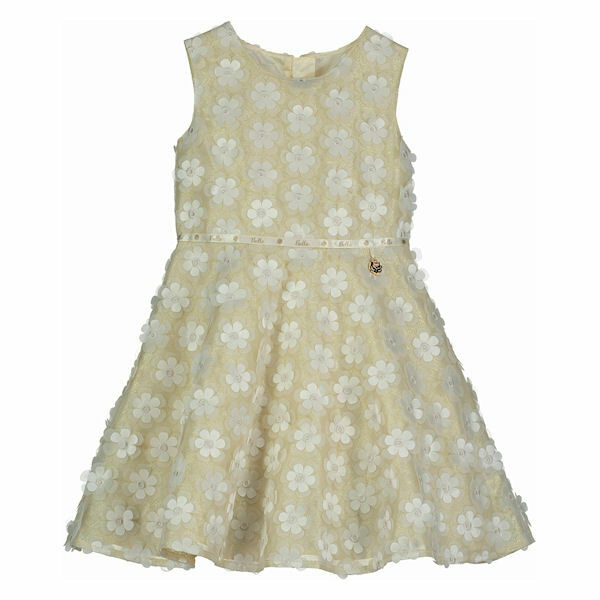 A sophisticated all over cream floral 3D textured fabric on a gold shimmer mesh. At the waistline is a delicate cream Belle signature ribbon attached to which is a subtle Belle and Disney character charm to add the final Disney inspired touch. There are no videos for Disney Boutique Collection Belle Flower by Travis Designs at present.